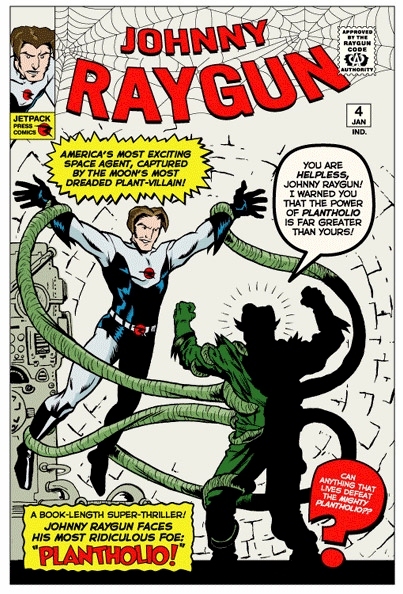 Johnny Raygun #4 - Craig Rousseau provides and awesome cover for Johnny Raygun #4. Rich and Matt have produced the coolest retro cover which is also our first FULL-COLOR variant cover. Order it below! Johnny Raygun #4 - This cover was rendered, from pencils to colors, in its entirety by our most favorite friend of friends, Craig Rousseau. It looks so awesome and we just can't thank him enough! Only $2.95 for 32 pages of fun. 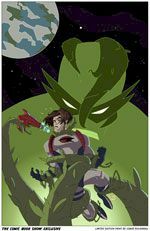 THE COMIC BOOK SHOW exclusive Craig Rousseau laser print! Produced by Jetpack Press for The Comic Book Show in Nashua, NH this is another one of a kind collectible. Penciled , Inked and Colored by the Harriest Johnson...by the Perhapanut...by the Kiss and Tellos...Craig Rousseau. 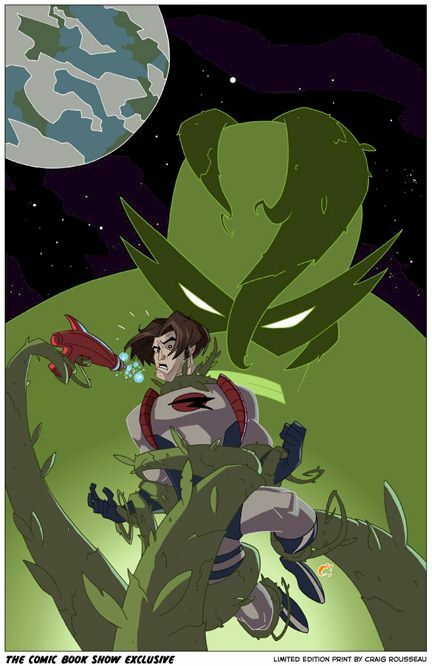 Craig's got the greatest art style going and we're proud to have his work wrapping our next issue. You can't pass this 11 x 17 print by. Watch for our signed and numbered limited edition version coming soon. Like we say, suitable for framing or wiping! Poster/Prints are shipped rolled in a tube. 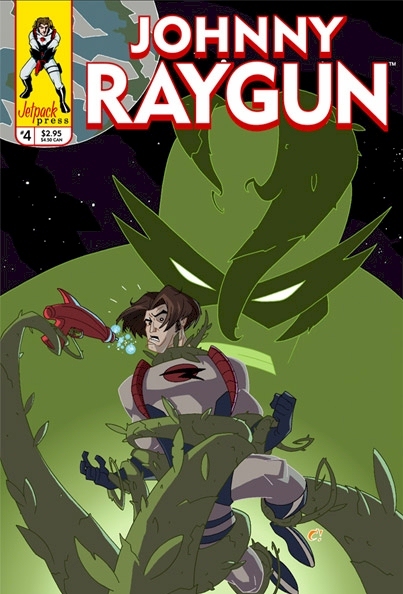 Johnny Raygun #4 Variant retro cover - Our first full-color variant cover is Rich and Matt's retro dream. A little more money but only 500 of these exist. Get yours while you can. This $4.95 is well worth the paper it is printed on.